Who earned praise for a "dominant performance" in the Premier League at the weekend and who needs to do some extra work after "committing a surprising amount of mistakes"? We rated each team for their efforts from A to F, excluding Leicester and West Ham, where the match was paled into insignificance by the tragic event afterwards. Watford put in a dominant performance and were fully deserving of their 3-0 victory over Huddersfield. David Wagner's side found it incredibly difficult to contain Watford's fluid forward line who were particularly effective on the counter-attack. 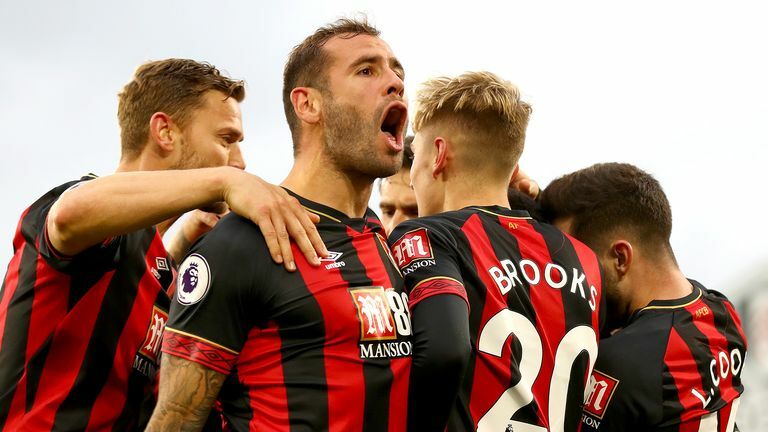 Highlights from Bournemouth's win against Fulham in the Premier League. 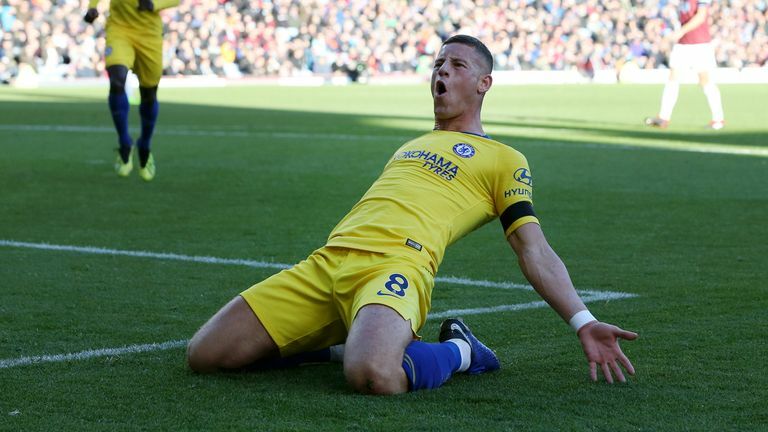 Teams rarely go to Turf Moor and make it look easy, but Maurizio Sarri's side did just that to move to within two points of the league leaders. The 4-0 scoreline did not flatter them. Indeed, but for three world-class saves from Joe Hart it might have been even better for the visitors. After a lacklustre performance against Juventus in midweek, Man Utd looked like getting back to their best on Sunday and were much the better side against Everton. 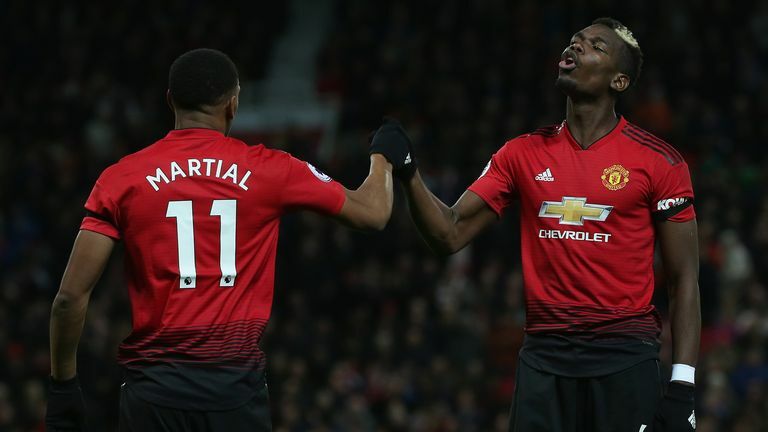 They played some wonderful, flowing football with Paul Pogba and Anthony Martial linking up well down the left flank as the source of much of United's success. They did not look like missing Romelu Lukaku or Alexis Sanchez in any way - they may have even been better without them - although Pogba's bravado and showboating nearly cost his side. It was his stuttering run-up that saw Jordan Pickford save his penalty before he got a stroke of luck with the rebound, and then an attempt to chip the ball out of trouble lead to Everton's penalty. Solid, if unspectacular, from Chris Hughton's side, who recorded a third successive top-flight win for the first time in 37 years thanks to Glenn Murray. But what will perhaps most please the Brighton boss was his side's rock-solid defensive display against a Wolves team who dominated for large portions of the game. 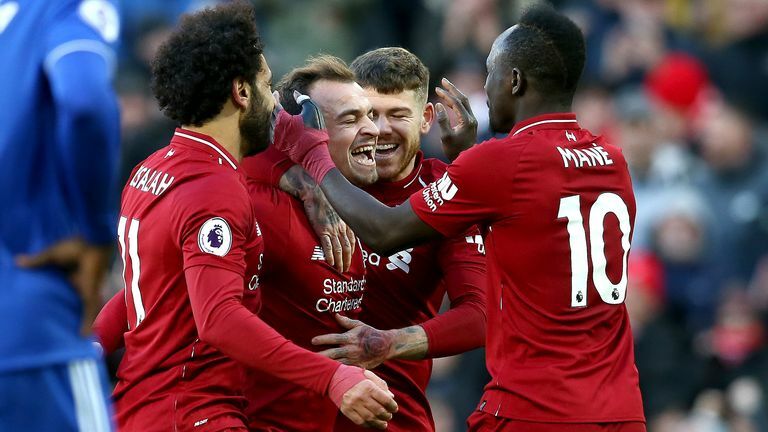 A 4-1 victory would normally warrant an A, but the scoreline did flatter Liverpool somewhat, who, for a time, were in danger of being pegged back by Cardiff. Liverpool's problem, after taking an early lead at Anfield, was that they were trying to find the perfect second and trying to walk the ball in. The visitors had 25 efforts on goal at the Amex on Saturday, but lacked the final touch to make Brighton pay, and that will most disappoint head coach Nuno Espirito Santo. After losing just one of their first eight Premier League games of the season - winning four times - Wolves have now lost two matches in a row. 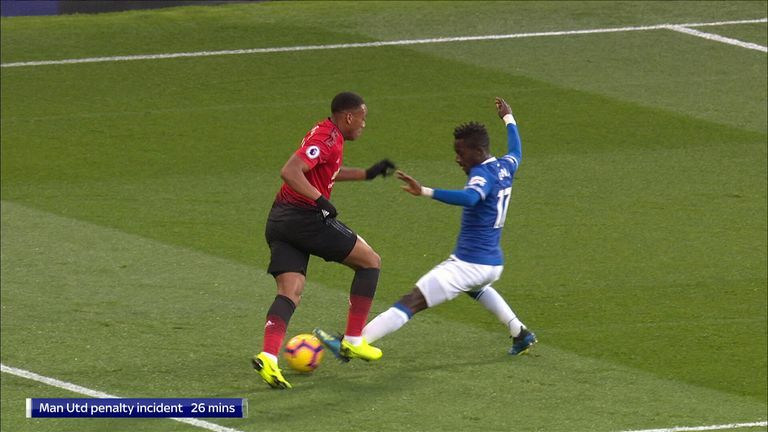 After three successive Premier League wins, it was a bump back down to earth for Everton at Old Trafford, although they had plenty of things go against them. The opening goal for United had all sorts of bad luck from the initial awarding of the penalty - which Sky Sports pundits Graeme Souness and Jamie Redknapp think should not have been given - to the rebound falling to Paul Pogba who slotted home from Jordan Pickford's wonderful save. Anthony Martial's second was a pure stroke of genius although their own penalty was correctly awarded and well taken by Gylfi Sigurdsson. But while they matched United for the opening 25 minutes or so, they looked out of ideas after going behind with only a few chances to speak of and Marco Silva's substitutions could not get them any points this weekend. 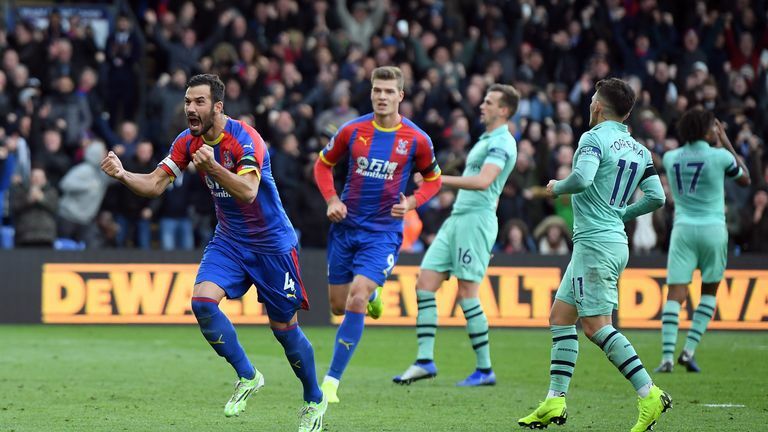 Apart from a 10-minute spell after half-time where they put Palace under severe pressure and got their two goals, Arsenal rarely looked comfortable at Selhurst Park. Mesut Ozil was subdued, Alexandre Lacazette was wayward with his finishing and the Arsenal defence creaked like it has at various times this season. Seven days on from their creditable draw at Bournemouth, Saints were again solid defensively as they prevented Newcastle from having a single shot on target, but Mark Hughes admitted afterwards that his players are suffering from a crisis of confidence in front of goal. There were groans at the full-time whistle with the wait for home celebrations now to extend beyond 172 days. It's difficult to be too harsh on Burnley when they came up against a Chelsea side in such exquisite form. Sean Dyche's side were excellent for the first 10 minutes and had Robbie Brady's volley flown the right side of the post it might, might, have been a different story. While this inauspicious draw hardly set pulses racing for the thousands of Newcastle supporters who made the long trip south, the manner of the defensive performance certainly provides shoots of recovery for Rafa Benitez's side. They rode their luck at times and were grateful to more misfiring from Southampton, but Benitez highlighted the positive of a clean sheet away from home which took his side off the foot of the Premier League table. It looked like Cardiff were in for a long afternoon at Anfield when they fell behind in the ninth minute, but they put in a spirited effort in the second half to at least give Liverpool a scare, with progress certainly being made.